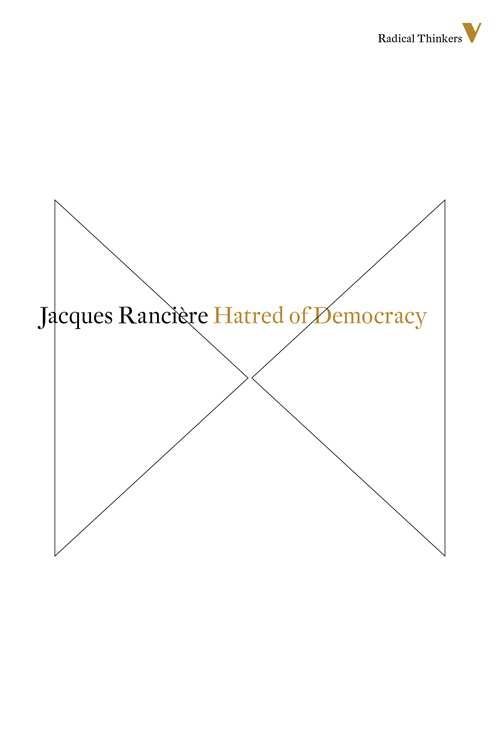 Jacques Rancière, Emeritus Professor of Philosophy at the University of Paris-VIII, provides a critical analysis of Alain Badiou's classic work Being and Event. 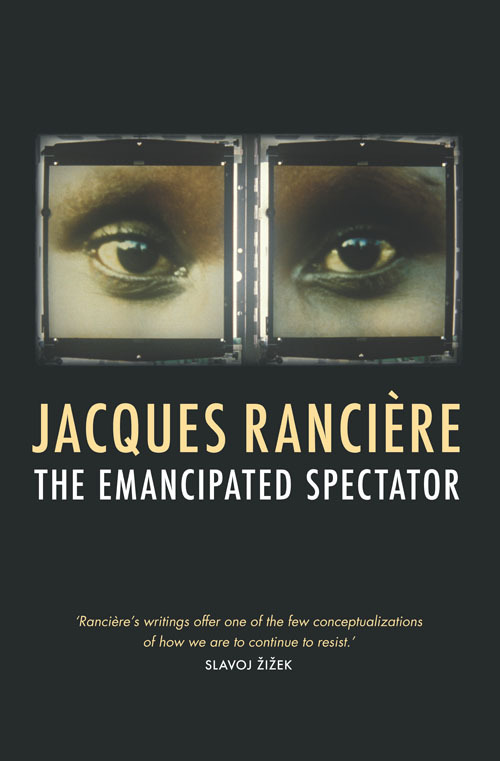 Rancière's books include: The Intellectual and His People, Staging the People, and The Emancipated Spectator. First of all, I want to make clear the limits of the remarks I’m going to make. Taking stock of a book like Being and Event demands time for rereading and being able to take a step back. It requires going back through some of the great, foundational texts haunting this work — like Parmenides, for instance. It demands mastery of the mathematics that it uses, and what it uses them to produce… I think I’m missing something on all these fronts. So I will talk less about the book’s arguments than the gesture that it today represents; the manner in which this gesture is outlined in the thought and in the opinion of our present. One word runs throughout this book, summarising this gesture: loyalty. This word implies a dual rejection of the thought of our time. Firstly, it means refusing to settle into a position within the end of philosophy and the calamity of our time. It is a refusal of the manoeuvre by which philosophy — proclaiming its own end, and its double, the calamity of our time, its darkened face named metaphysics — still proves its own royalty, as it indefinitely re-exploits its own history in the figure of a heroic inheritance. Moreover, it is a refusal to follow the wave of the social, giving in to the dominant weight of statised thought — the thought for which nothing exists but states of affairs, combinations of properties, and which judges practices and discourses in terms of whether they reflect, contradict or are extraneous to these properties. In its most general expression, the epistemological figure of statised thought is the revisionism whose formula is to say — and this is, in all circumstances, an irrefutable formula — that things are not what we believe, or believed. Its ethical figure is renunciation, justified as follows: we have to have the courage to admit that things aren’t what we thought they were, and since it was what we believed that determined our discourses and actions, we have to be able to recognise the gap between our desires and the order of the world, even if purely for the sake of teaching the younger generations. The question of loyalty gets lost in each of these two dominant figures, either through its excess or its lack; either because it collapses into the oblivion of the antediluvian, or because it is called before the permanent tribunal of demystification by its properties. There is no event, only the long catastrophe, or little stirrings on the surface of things. As against this present configuration, Badiou’s oeuvre represents the most resolute attempt to construct a conceptual space of loyalty, in order to show that loyalty is necessary. As against the time that incessantly moves from the tenets of reality and the time that never stops finishing with the tenets of being, he affirms loyalty as an ethical conduit for time. This place for loyalty and this ethics of time have a specific figure in Badiou. He affirms that now is the time to construct this space for loyalty, as a space for the co-possibility of four procedures producing truth: the matheme and the poem, politics and love. Today this construction is the ‘further step’ demanded of philosophy. But the modesty of this further step insistently takes the shape of re-beginning the hyperbole or Übergang through which philosophy adopts, or again adopts, its foundational path. Taking a further step is also, indeed, to re-do Plato’s gesture, re-beginning Plato — a singular Plato, it is true — a double parricide, capable of forcing the aporiai of being and not-being in order to assure the fraying of discourse. This is at the price of liquidating not only Parmenides — at the order of the matheme — but also, at the order of interrogation and love, Socrates, cancelled-out/replaced by Lacan’s commentaries. Thus the construction of the place for loyalty itself becomes identified with the refoundation of philosophy as the terrain for the reception of truths; a refoundation that is prescribed by the state of the four generic procedures — by the appeal of a new that is expressed differently according to these procedures and their dissymmetry. Indeed, among the four generic procedures, we can recognise one procedure — politics — where the new, dark evenementality, is still seeking its nomination; another — poetry — where the end is already inscribed (the age of poets is over, the poem itself arrives at its furthest shore, and has to be replaced by the matheme); and finally two others — science and love (meaning, love as thought by Lacan) — which supply the conceptual instruments for this re-beginning. So we could take as our interpretative hypothesis — that is, a hypothesis offering a partial (in both senses) clarification — a renewed Platonic formulation of the task of philosophy. And this is expressed as follows: in order for politics to begin, we have to mark the end of the age of poets. That is what the criss-crossing of mathematics and the discourse on love must serve to achieve. I will leave aside the new disposition that this new Platonism must assume in order to take to heart what the old one pushed away (the multiple, the apeiron) and the new reformulation of polemic that flows from this (the poets will now be reproached for piety and not impiety; for the excess of presence, and not the play of shadows). I will hold firm to the configuration of the relations that I think are here woven between the two pairs: poetry and politics, beginning and end. 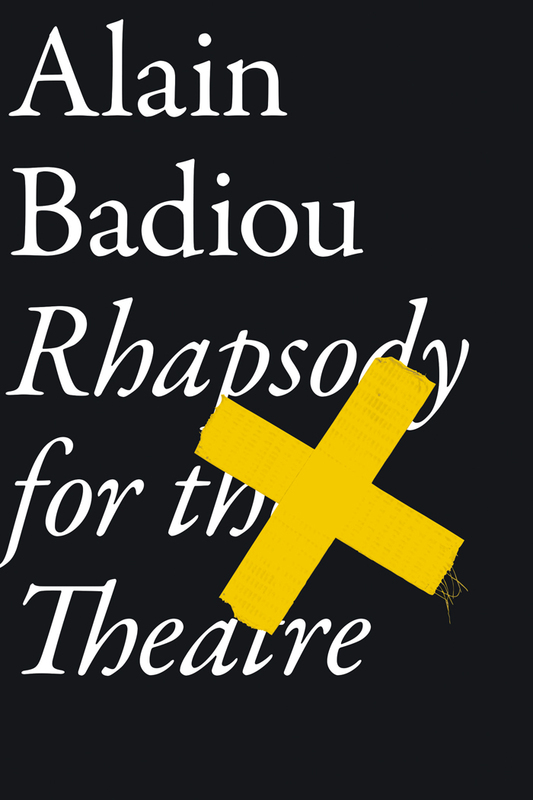 Badiou commonly represents politics as waiting in suspense for a nomination of the new that it expresses. Following the Platonic model, I would say that the liberation of this new itself supposes — within such a logic — that philosophy liberate itself from the age of the poets — the age of nostalgia for presence, for return, for the new Greece — that began with Schiller, reaching its culmination with Heidegger and its conclusion with Celan. But was that really the age of the poets? The age of illusions in the primary presence of things, and of the return to native soil? Such an identification is questionable in two senses, both with regard to the poets and in terms of how we define this age. Indeed, was the age of poets not also the age when poetry was mounting its ‘consumption of Olympus’, as evoked in a passage of Danton’s Death: not nostalgia for the gods who took flight, but putting to death the mythologies of presence that they organised? A labour of criticising presence, of bringing to light its essential fragility, and the death that inhabits it? Perhaps over the last two centuries the oeuvre proper to the age of poets was first of all the critique in actu of objectivist belief, the practice of pulling-apart, of fragmenting the reality of ‘properties’. Badiou is the first to recognise this labour of disobjectivation as a major aspect of the age of poets. The poetic illusion, is, then, much more the failing of the philosopher, Heidegger, who transformed the poetic destruction of the object into the consecration of the original presence of things. However, a curious back and forth thus develops; the poet simultaneously takes both the negative figure of he who leads the philosopher into temptation, and the back-up role of he who, carrying out the task the philosopher has left aside, expresses his insufficiency and demands that he be replaced by the new philosopher armed with the matheme. But the problematic relation between the concluding age of the poets and the time of the new politics poses another question. 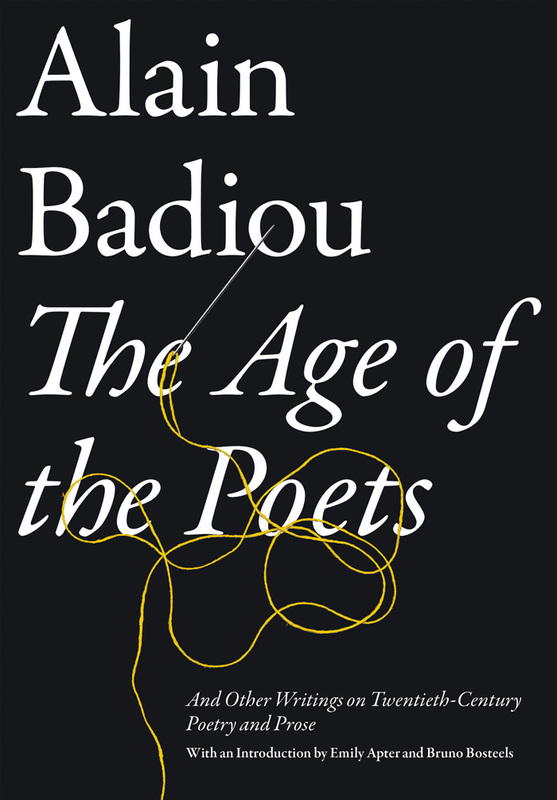 After all, the age of poets, as portrayed by Badiou, is also the age of revolutions. We would probably agree in dating its birth to the final years of the eighteenth century; and these were also the years for assessing the French Revolution as an event, in terms of the enthusiasm that defined it and its new way of organising politics as a sensory certainty and object of aesthetical perception. These were the years in which Hölderlin published Hyperion,while Wordsworth and Coleridge published Lyrical Ballads that said not a word about politics but nonetheless represented the decline of revolutionary enthusiasm: a way of undoing the knot that tied the powers of sensory evidence to those of political novelty, the utopia of the new community to the utopia of an aesthetical common sense. Starting from this privileged moment, we could produce a history of the age of poets —through Büchner, Baudelaire and his reader Benjamin, as through Rimbaud and Mandlestam — as the history of a critical labour on the modes of subjectivation and objectivation, of temporalisation and metaphorisation, proper to the renewed figures of political novelty. The labour of the age of poets runs right throughout the labour of the age of revolutions. Isn’t declaring this age over a way of saying — without saying it — that the age of revolutions is itself over; a way of turning the cutting edge of the revolutionary signifier to the sole task of nominating a still-unheard-of political novelty? Tellingly, Badiou counts among the manifestations of this ‘new’ awaiting political nomination the ‘expiry’ of the Marxist-Leninist figure of politics. Is, then, the ‘new’ that names the newly-named generic politics anything other than the ruin of the old novelty, which has nonetheless preserved its powers as an event? This is a very specific evasion of the confrontation with the theoretical object ‘revolution’. Evidently this has nothing to do with the banal refusal to take onto our shoulders the shame or discredit that our present attaches to the revolutionary inheritance. The Revolution avoided in Badiou is, on the one hand, the matrix of a certain number of discourses on classes and the substantiality of the social. But, on the other hand, it is also and above all everything that the democratic historicity produced by the revolutionary event – inscribed in texts (the Constitution, the Rights of Man), symbolised by dates, repeated, disguised, forgotten, replayed, cut up by the divisions of states and the unpredictability of events and subjectivations — can offer in rebellion against the project of politics as the act of a specific subjectivity. Here we again find the Platonic question. In Plato, the time given to the poets for their demegoria was part of a pact of solidarity with the time given to democracy. The philosophical gesture of inventing politics in truth was identified with the rejection of politics in its ordinary state — the patchwork of democracy. The advent of philosophy was linked to the objection against this figure usurping politics. In the ‘Platonism of the multiple’ proposed by Badiou, there can be no question of opposing the singular essence of the community to democracy. Yet the constitutive opposition of a true politics as against ordinarily practised politics is nonetheless an insistent one, as we see, for example, from the enumerations of the generic procedures where it is not politics but ‘invented politics’ that corresponds to the matheme, the poem and love. As if the essence of the matheme and the poem could be sufficiently known in ordinary experience, and love itself had no need to be reinvented; as if politics alone were threatened by an otherwise innocent homonymy, compelling it to distinguish itself from what its commonly understood under this name, of only existing, at a push, when this distinction is uttered. As if ultimately the essential stakes of the notion of indiscernibility constructed in this book are to be found in the polemic over what is appropriately called politics. These are essential stakes — and yet they are simultaneously difficult to grasp. Being and Event is a work of ontology that wants to capture politics in its specific intelligibility, breaking with the ‘dialectical’ suture of the philosophical onto the political. Yet this ontology is itself governed by concepts (event, intervention, loyalty) that go back and forth between these two orders. 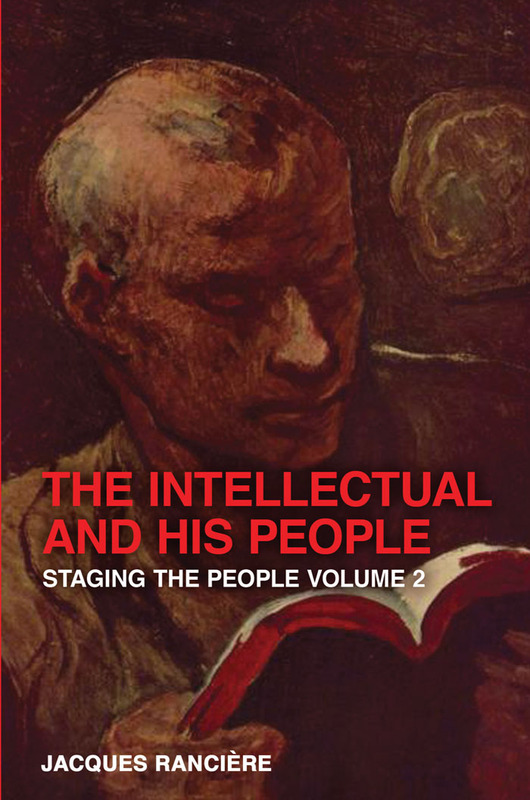 In first entrusting the illustration of the event to Mallarmé, then the illustration of intervention to Pascal and the illustration of genericity to Rousseau, this book sets out a meta-politics of the act, intervention and intervening multiplicity that bypasses democratic facticity and revolutionary evenementality in a very specific manner. I see a telling index of this in the meditation that Badiou devotes to Rousseau and in his resolutely evenemential reading of the contract proposed in Rousseau’s work: a reading that suggests a much more uncertain Convention and a much more inconsistent people than Rousseau presents. The contract, the solution to a problem concerning the constitution of the group, here becomes the chance of the event to which the general will is loyal as it constitutes itself. So the idea of the generic politics is constructed by relegating the organic concepts of thinking on the political community (right, law, deliberation, sovereignty) in favour of the action of the ‘intervening vanguard’ identified with the figure of the legislator. But this ‘evenementalisation’ of the corpus of political philosophy is, too, in an inverse sense, an ‘ontologisation’ of political evenementality. 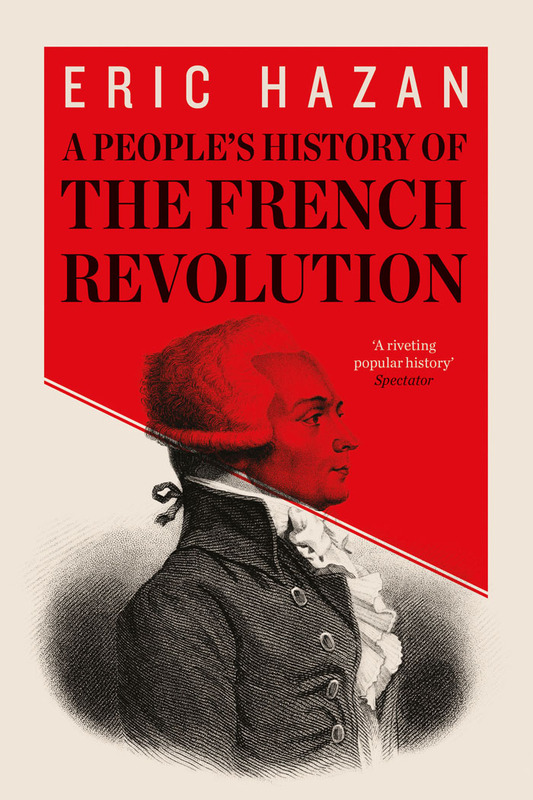 The contract’s evenementiality, thus constructed, now comes in place of the historical evenementiality with which Rousseau’s and this book’s name are — for better or worse — each associated; the evenementiality of the name ‘French Revolution’. To give the contract the theoretical status of an event is to constitute a thought of the event that suspends it, in a radical sense, on the decision of its naming. As Badiou sees things, it is essential that the event must be not only unpredictable in its arrival, but dubious; constituted only in the retroaction of the interpretative intervention. The site of the event is constructed, in particular in his meditation on Mallarmé, in such a way as to make the interpretation of the event the response to the single question: did it, or did it not take place? It means that the event has no temporality other than loyalty to the intervention saying that there was an event; that there is no history except on condition of the political, a politics that is nothing but a bet on the event taking place. With the decline in the names of politics, Badiou’s polemic on the distance of the political from the historical comes to narrow in on the pure question of the construction of time. ‘It is on the basis of the couple of the undecidable event and the interventional decision that time and historical novelty result’. I think we can summarise that as follows, without distorting its meaning: time is nothing other than intervention. In Badiou, this thinking on time commands the new form adopted by the original confrontation between philosophy and democratic facticity. Indeed, democracy is perhaps first of all a politicity of the historic — the fact that there is a history, a longue durée of events; the fact that days of action, declarations, combats leave their trace, making their mark not only on institutions and memories but also on situations themselves, the constitution of sites that are the consequences of events and thus lend themselves to other events, without this implying any need to pull a name out of a void surrounding them. If the street, the factory or the university are to lend themselves to a resurgence — a reinscription — of the event, this depends not simply on the subjectivity constituted in the intervening organisation, but also on the fact that there are sites, singularities, and rules that allow the persistence of an event, the persistence of its declaration. Democracy, thus understood, is a certain node of the state and the event, a node of inequality and equality. ‘Equality is politics’, Badiou insists. But is this not first of all true of its revolutionary declaration, of the historicity that this declaration opens up — that is, in its condition as an undoubtable event, which gives us no choice to decide on its existence, but only the form of its repetition? Let’s put that another way. I see there as being three tenable positions on equality. Firstly, there is the one tying it to itself, pushing it out of a political field conceived as the terrain of instituted inequality. That is the radical, radically a-political conception of Jacotist intellectual emancipation that I analysed in The Ignorant Schoolmaster. Then there is the position that ties the egalitarian declaration to the inequality of social binds. It is this knot that constitutes politics in its democratic empiricity. Finally, there is the position that affirms a political node tying equality to itself, a position that obliges us to say that politics is nothing to do what it is ordinarily held to be; that the figures of its indiscernibility or exercise of duality can only be thought in terms of their difference from the ordinary state of democracy. This latter is wilfully reduced to the adjective ‘parliamentary’, specifying politics negatively, in terms of the fact of not voting or more generally not accomplishing any of what pertains to the ‘ordinarily’ political. Denouncing, as a good Platonist, the illegitimacy of democratic temporality, Badiou places us amidst the full acuteness of the confrontation between the ‘measureless excess of the state’ and another measureless excess. This is the measureless excess of interpretation that in designating an ‘obscure evenementality’ — a politics awaiting its nomination — risks displacing the Lacanian opposition of knowledge and truth — designating truth as the unknown of those who speak. This plays on the discernment of the indiscernable, at the risk of deploying the marvellous old trick that brings out differences where no one sees them and shows that what everyone sees as opposed is in fact indistinct. To put that in other terms: perhaps the thought of the intervention and the loyal collective escapes the democratic binding of the event to the state only by means of another knot which ties it to the body of incarnated transcendence. Indeed, the loyalty whose necessity results from the undecidable of the Mallarmean gesture finds its model in the putting-into-circulation a very particular event: the event of the cross. Through a displacement symmetrical to that which I mentioned with regard to contractual thinking, the foundational event — the one in relation to which the intervening loyalty defines itself, in the place of the revolutionary event — is the Christian event. That is to say, the unprecedented event of the death of God, the setting in circulation of his death, and of the meaning it is to be given. Indeed, Badiou’s meditation on Pascal, following his meditation on Mallarmé and the chapter on intervention, attaches to a very particular figure of the event. What the apostles — the ‘collective body of the intervention’ —have to decide is that what took place on the cross was not the execution of a religious agitator but the death of God, which firstly means his presence: ‘All the concrete episodes of the event (the flogging, the thorns, the way of the cross, etc.) solely constitute the ultra-one of an event in as much as God, incarnated and suffering, endures them’. Could we not return to this proposition, saying that the paradigm of the event here proposed – read through Pascal — implies precisely that there is no event, except by way of transcendence — by way of a decision on transcendence? Before being called loyalty, this decision is called faith. And we know that it is the Transcendant that bears the power of this faith — the power called blessing. Yet here blessing is erased, just as the law was in Rousseau. The instance behind belief in the event is erased, just like the one that holds subjects together. Thus the Christ-event can serve as a paradigmatic event, even when we take away what specified its evenementality and the conditions in which it was set in circulation: the idea of the mystical body, the efficacy of the Spirit (in Badiou there is an enduring division between the Two persons of the Christian God), Paul’s oppositions of the wisdom of the world and the folly of the cross, works and faith, law and blessing. Well, the folly of incarnation is forgotten as soon as it is posed, in favour of an exemplary sequence: prophecies, miracles, wager. Pascal, the man of the matheme and the conversion of the libertines, comes to efface St. Paul, the man of God incarnate and the body of the Church – and not without Pascal’s own thinking on the miracle itself finding itself slightly displaced, in correlation with the wager that he takes care to distinguish it from. In Pascal, the miracle is not a matter of a wager — a decision on the evenementality of the event — for it instead remains on the side of certitudes. It is Badiou who has to transform it into the emblem of the pure event, as a resource of truth. The miracle — the event that is decided by interpretation — thus serves as a way around blessing — the transcendence of the event — pushing the great metaphor of the cross back behind the miraculous chain of intervening-interpreting activities, giving the ‘intervening vanguard’ the principles around which it must congregate. What could the form of this congregation be? Can the ensemble of ‘multiples marked by the event’ avoid the temptation to appear as ‘the acting effectivity of the event’ — that is, as the ‘flock of the faithful? Is the alternative to the democratic knot of the event and the state not doomed to ecclesiality? This dilemma perhaps serves as more of a constraint than the oft-invoked opposition of the ‘parliamentary’ and ‘Stalinist’ modes of politics. More generally, the question is posed: what type of political congregation is possible, when we start by conferring centrality on interpretation? What price do we have to pay to draw the interpretative act out of its own proper site — the analytical relation — and the arithmetic proper to this site, and make it play the role of the organiser of a collective; to assimilate its formula to the matheme of a continuous creation? I have deliberately set out to use this Cartesian formula, because I think it well summarises Badiou’s project, but also because it invites us to reflect on a significant absence in his book. In the gallery of great philosophers running through Badiou’s meditations, Descartes only gets a strange kind of fold-up seat at the side, only appearing in terms of ‘cogito’ — that is, in terms of a thinking of the subject whose corrected formulation was provided by Lacan. Absent, however, is Descartes the thinker of the divine creation of mathematical truths. Yet if there is any thinker of the event in the Western metaphysical tradition — a thinker who gave the event an ontological status — it is, indeed, Descartes. The Cartesian proposition that God freely disposes of mathematical truths is a statement, in the most exacting fashion, that the event precedes being. 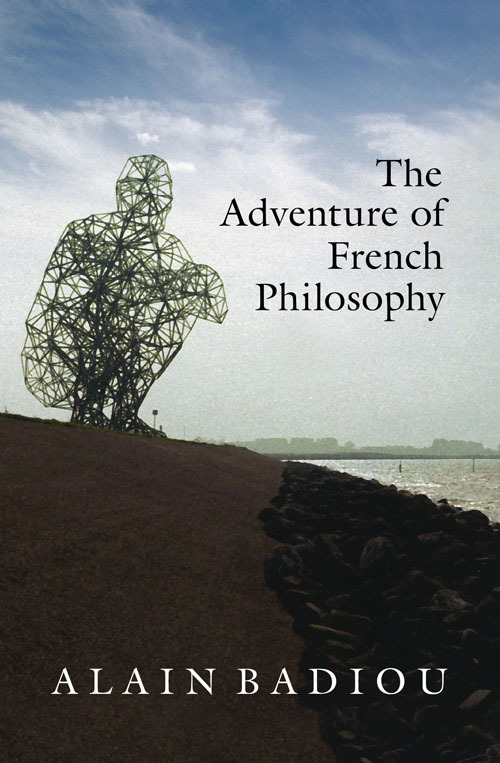 Why does Badiou neglect the thinker who is seemingly closest to him? If not (as I think) on account of the consequences drawn from the property over being that Descartes imputes to the event? If God disposes of mathematical truths, it follows that there is no matheme of continuous creation. However perfectly constant it might suit him to consider God, all the same the event does not prescribe loyalty. And it results from this that there is no Cartesian politics. Here again, I would refer back to what I already tried to establish in The Ignorant Schoolmaster: Jacotot adopted Descartes’s way of thinking equality as a continuous creation. But such an equality could not break out of a subject’s — always to be renewed — relation to another, and could never exceed the binary of this continuous creation such as to found a politics. Creating a politics on the basis of Descartes’s proposition would suppose tying freedom to the state. So, properly speaking, there is no matheme of politics, only poems or declarations. Breaking out of this aporia would suppose establishing a crafty conspiracy between Pascal and Plato, a way of getting the better of the submission of being to the jurisdiction of the event, such as to remove it from this jurisdiction. And, ultimately, to impose the jurisdiction of being over the event, and the Platonic jurisdiction of geometry over politics. The Christ-event — God’s suffering and the ecclesialisation of this suffering — works against any philosophers’ or scholars’ God. That is to say, it also works against any God who does not allow political conclusions from philosophy, or using politics to send messages to a philosophy that responds to this with a refoundation of philosophy. Here we could turn the famous formula on its head: Pascal is preparing Platonism, a new Platonism, a Platonism according to Lacan that mathematises the event and names the unnameable; not the sludge, but the ordinary. The folly of the cross clears the ground for this new Platonism, casting aside the prohibition of continuous creation in politics or its submission to the customs of ordinary democracy. The price of this operation, it seems to me, is that this mathematised politics must necessarily be ecclesial in its form and dependent on a self-referential evenementality, be it that of the miracle around which the Church is organised, or the exercising of the interminable objection against all the names in which politics ordinarily presents itself. This is an exercise for which two people can always suffice, as Engels once taught the unmanageable cohort of ‘Straubingers’: the Two of party founders was necessary and sufficient to ensuring the right division, separating the politics of truth from the multitude of political names. In the form of the ecclesial congregation or of the Two — the one that speaks and the one that objects to names — there take shape two figures of politics as the exercise of an absolute of subjectivity. And if we do have to get rid of the poets — or at least replace them — it is because they maintain most forcefully that there are things, ‘that there is being outside of consciousness and that in its chance existence this fact far exceeds the abode of the mind’. Thus wrote Yves Bonnefoy as he counterposed to Mallarmé’s Hérodiade — heralding the death of the poem — Beaudelaire’s Andromaque, the emblem of everything in presence that the poem presents as lost. I shall conclude by returning to my starting point. Having dismissed the proposition that would trap us in the end of philosophy and of the millennium, do we have to conclude with its opposite — proposing the propylaea of a new millennium and thus consenting to the fiction of the ages by other means? Do we have to give in to this figure of time? And in what sense is it complicit with a certain idea of the mission devolved to philosophy? Is it there any reason to remain within the alternative between two fictions: that of a something that is either at its beginning or its end, which absolutely has to be thought in order to be liberated — an abyss that has not yet been scrutinised, or a novelty awaiting its name? Why does it incessantly need to be said that there is an end or a beginning incessantly waiting on us to name it? Does the privilege of thought lie with this urgent proposition? Doesn’t an egalitarian thinking on the event first have to detach itself from this glorious predetermination of the event as a beginning or end, and plunge it back into the democratic banality of the experience of a time, the time of generation and death? I would gladly say that Being and Event sets up a temple to Loyalty, which it would be worth often visiting. But Loyalty is doubtless too erratic a person for it to accept us staying in this temple for any length of time. And there is a condition for temples to be able to lend themselves to a lovers’ outing and to sustain its fervour. There have to be a few stones missing, and a bit of vegetation working its way into its disjointed walls. No architect, even a postmodern one, is going to be able to provide for that much; only nature, the birds and the vandals can do so. I tried to imitate those among these supplementary actors whom I was able to imitate. That’s another way of saying that my only ambition was to take — that is, to remove — my stone from this temple. This essay first appeared in Le Cahier du Collège international de philosophie, no. 8, October 1989 ( Éditions Osiris) and was translated by David Broder.